It's been a few years since we've checked out a product from Blue Microphones, the Yeti was the last mic we checked out in 2015. Today we've got impressions of an updated version of that mic alongside of their flexible desktop mounted boom called the Compass. In the age of streaming, having a good microphone is incredibly important. But what's equally as important is placement of said mic. Sometimes having the microphone just sitting on your desktop can make things sound muddled, as you'll likely have the gain high enough to pick up other ambient sounds. Using a boom allows you to place the mic close to your mouth without sacrificing comfort or desk space. The Compass makes this incredibly easy with three points of articulation - one near the mount base, one about halfway, and one near the end where the mic is actually mounted. 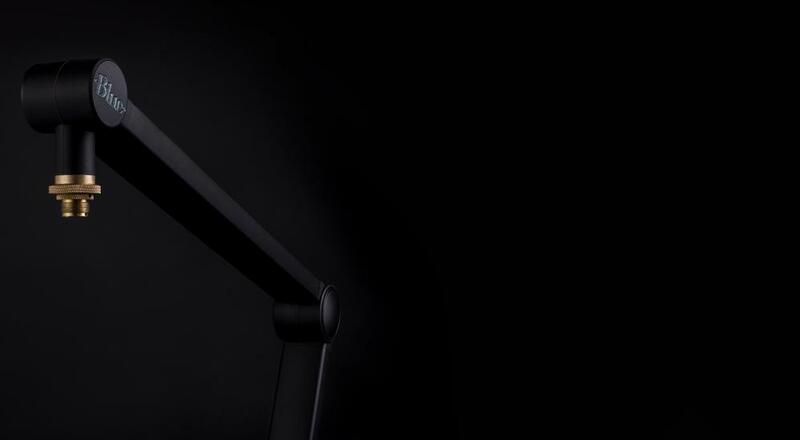 From there you can adjust the microphone in 360 degrees to fit your needs from the base or end. All points use a hand tightening knob to lock them in place. 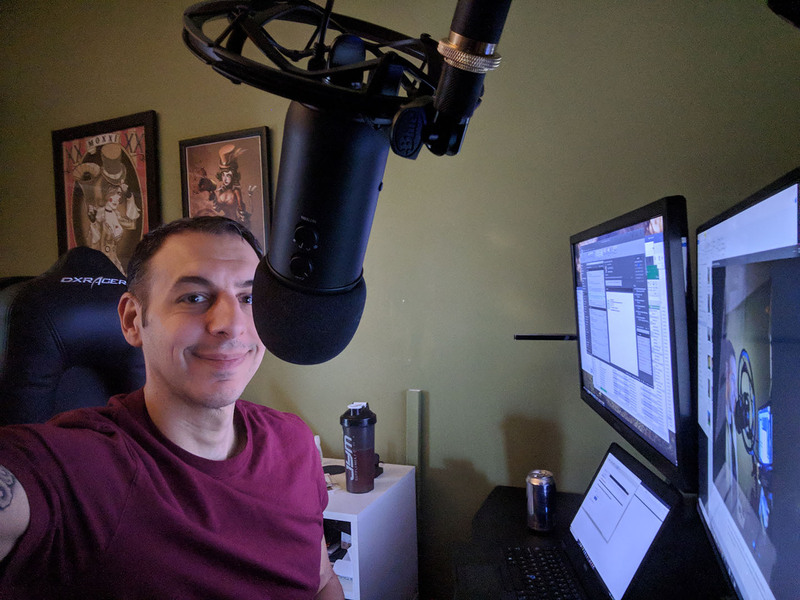 After adding the Yeti Mic and a Shock Mount (Yeticaster Bundle) to the setup I adjusted everything and was able to position the microphone over my 28" monitor right above my head with the mic facing down. The boom features integrated cable management too, hiding the Yeti's USB cable inside. I've done several streams and plenty of Discord chats with this as my primary setup and the feedback has been really solid in terms of the quality of audio. You can check out our recent For the King co-op stream for a sample - and this is after being sent through Discord, not the raw capture. The past 3 or 4 Monday night streams were all done on this setup. The best thing about the Compass is the sheer quality of the joints. It's easy to move and lock into just about any position you would need, it's stable once there, and there's no sag happening over time. The Compass itself will set you back $99, or you can grab the bundle with the shock mount and Yeti Caster for $199. This is a solid value overall for such a quality setup, especially if you're looking to get serious about Streaming or other home audio recording applications. 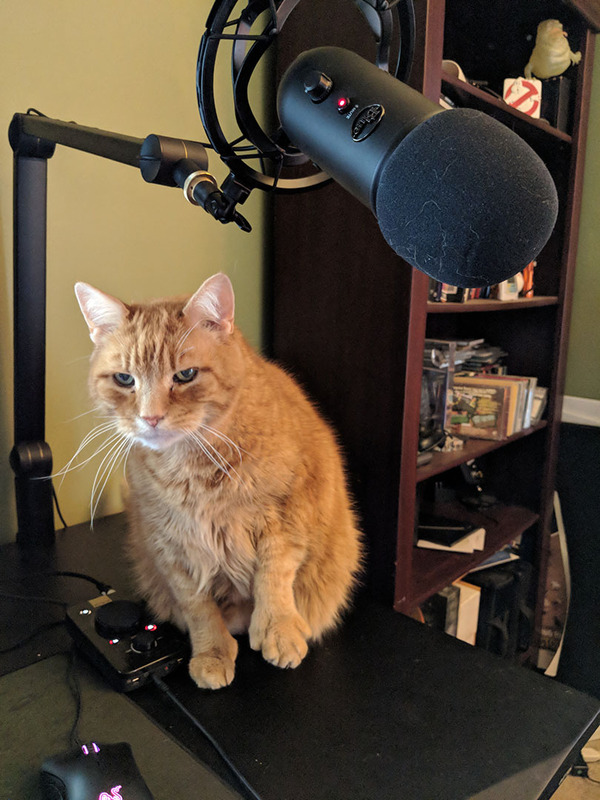 My cat is getting serious about streaming. Page created in 0.8889 seconds.